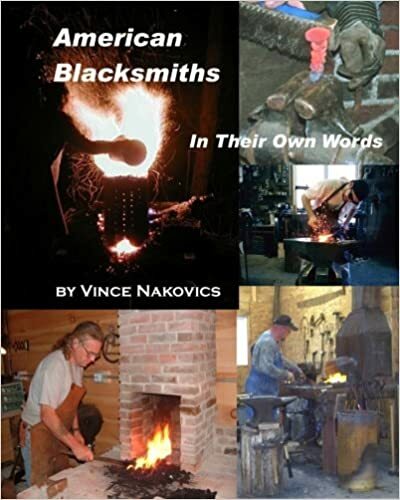 This is a collection of interviews with Blacksmiths between 2007 and 2010. They tell how the ring of the anvil and crackling of the fire first enthralled them and drew them to the age old craft. They present their thoughts on “Traditional vs. Modern” techniques and on those who influenced them. These Smiths provide insight into the business of running a Blacksmith Shop. Insightful, engaging and thought provoking all. There are many photos of these Artists’ exceptional work. There is something special about being able to make steel do what you want it to. The fact that you can add, subtract and change it from rough to elegant, sharp to soft edged, give a heavy object a lightness that would otherwise not be possible, reminds me that a simple thing can be complex and a complex thing simple. The satisfaction of figuring out how to make a complex pattern work is a great feeling at the end of the day.